Trail Not Recommended for Stock? What they really mean is for horses. Llamas…Forward ho! 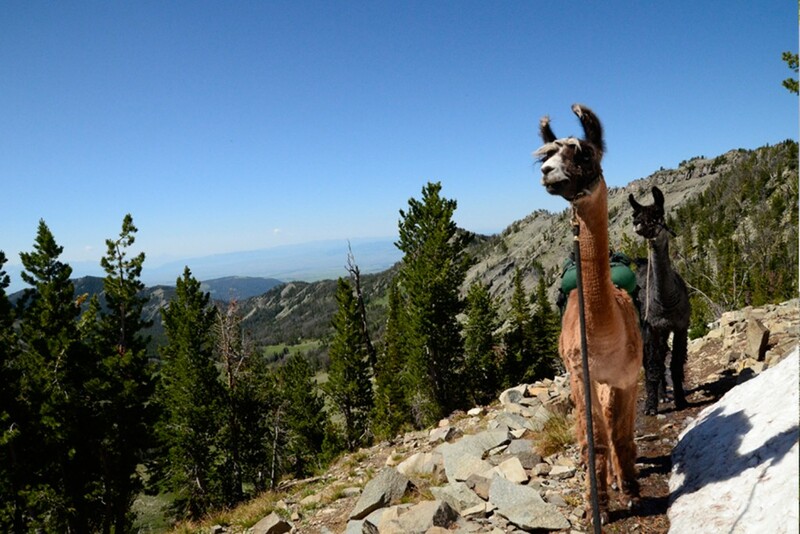 Explore the Bob Marshall & Scapegoat Wilderness of Montana with Pack Llamas. The Chinese Wall in the Bob Marshall Wilderness with llamas? Let’s go! 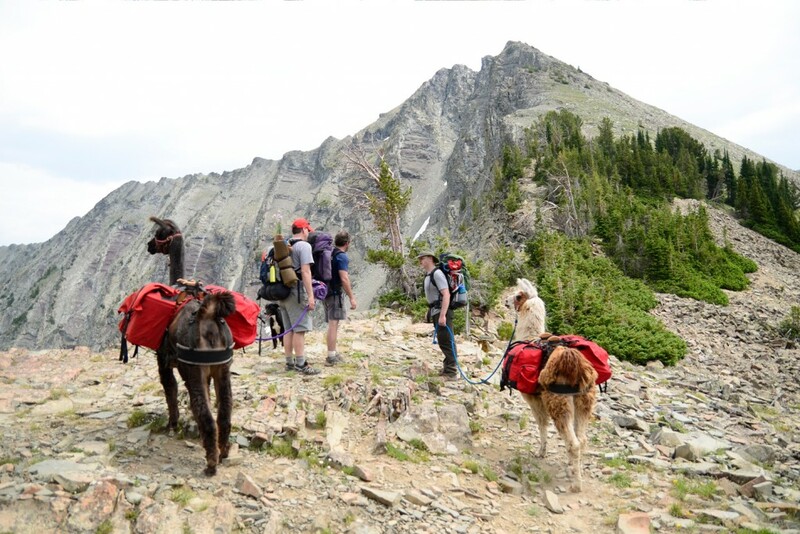 The Pack Llama Changes the Backcountry Wilderness Experience. Join us for a Llama Trek! The days of carrying heavy backpacks and freeze dried food is over. 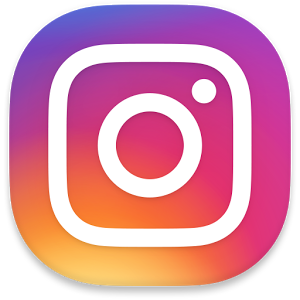 Your hiking experience is about to change. May we introduce you to a quality trained pack llama? 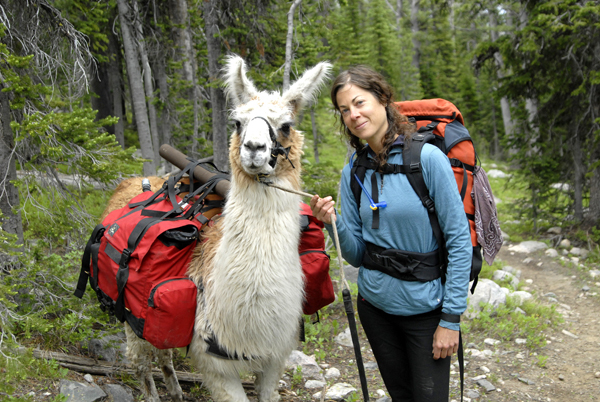 Imagine carrying only a day pack with your essential personal items while you, your friends, your family, a llama guide and string of pack llamas bear the weight of food, supplies, and equipment for a comfortable journey into the high country. 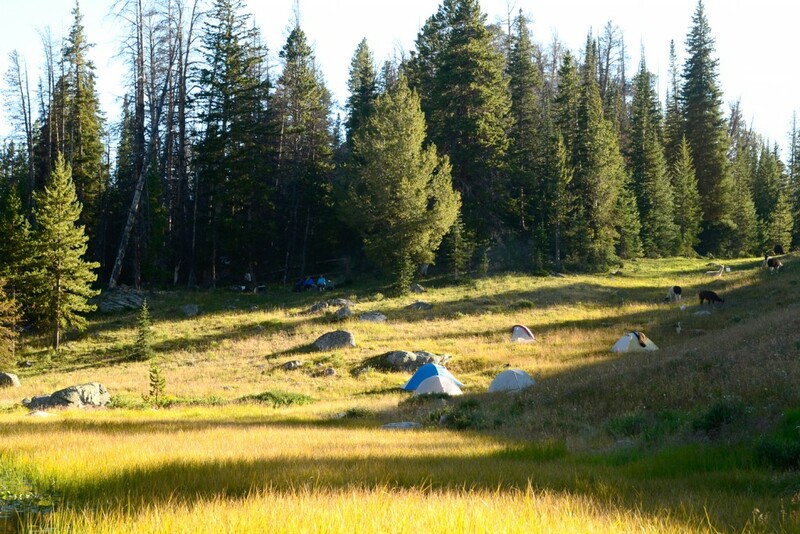 Once you make camp, you’ll be treated with some great healthy fresh backcountry meals. 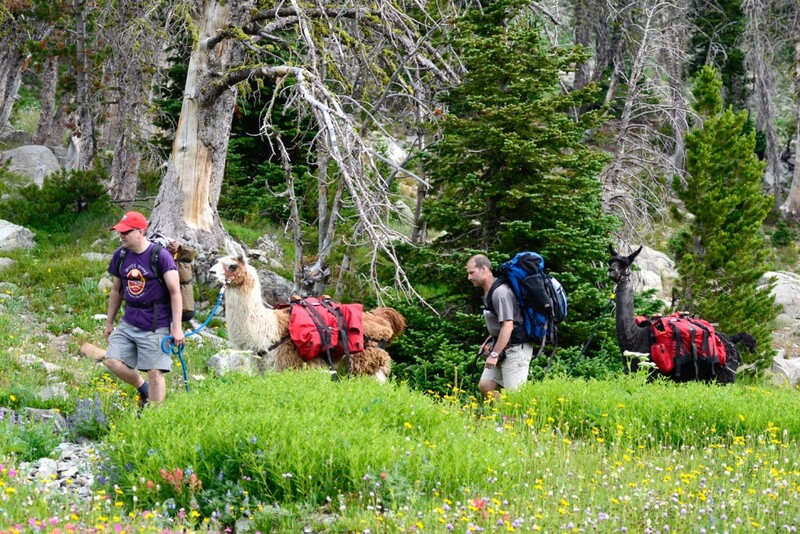 Our llama supported trekking is perfect for anyone who wants to hike with ease, enjoy the scenic wilderness, the wildlife, the mountain fresh air, climb some peaks and do some excellent remote fly fishing. 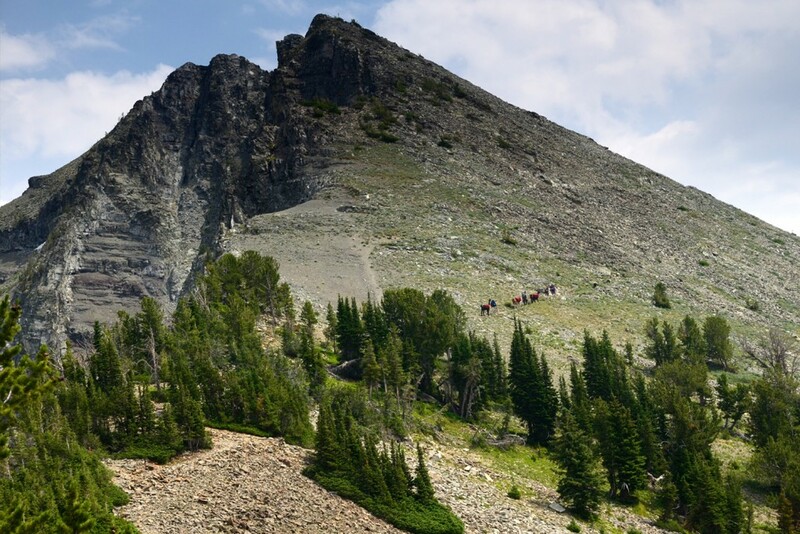 Ready for a llama backpacking adventure into the Bob Marshall Wilderness? 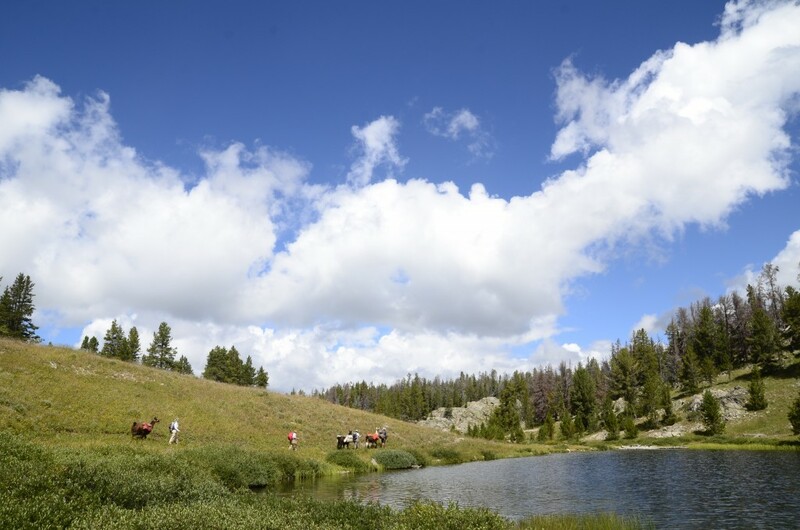 Or what about a high alpine lake experience? 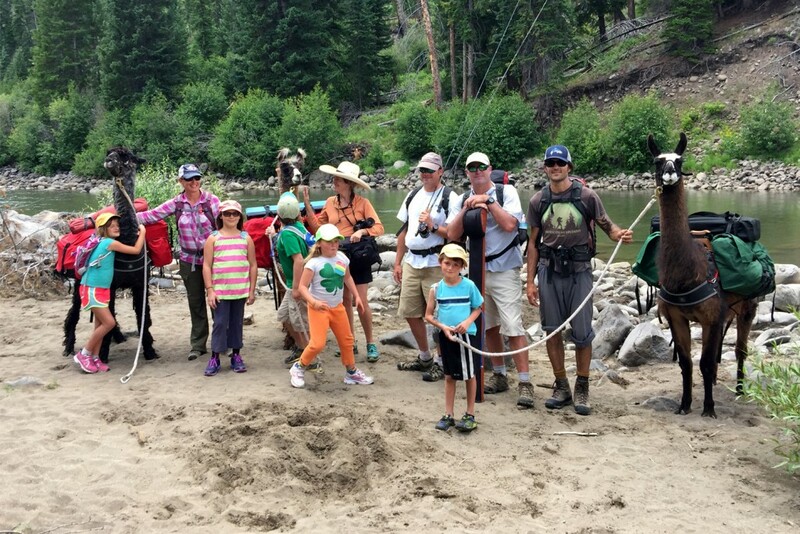 Join us for one of our summer llama trekking adventures. Or create your own custom llama adventure and Rent Llamas. Book your trip now. Email Dennis@MontanaLlamaGuides.com or call 406.600.3835 for more information.